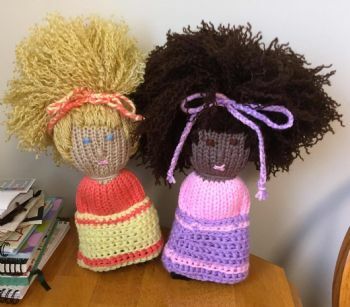 Sister Comfort Dolls are done. Well!! aren't they the cutest little dolls, I bet they are a big hit with wee girls.. Your dolls put a smile on my face.